iPhone, as the most popular smart phone on the market, allows users to make calls, browse the web, play games, check emails, take photos, record videos, etc. in the daily life. So it is inevitable that lots of important or precious data have been saved on the device, right? And sometimes you may wish to view these files on your personal PC directly but only find that Apple doesn't allows you to do it, then what will you do? 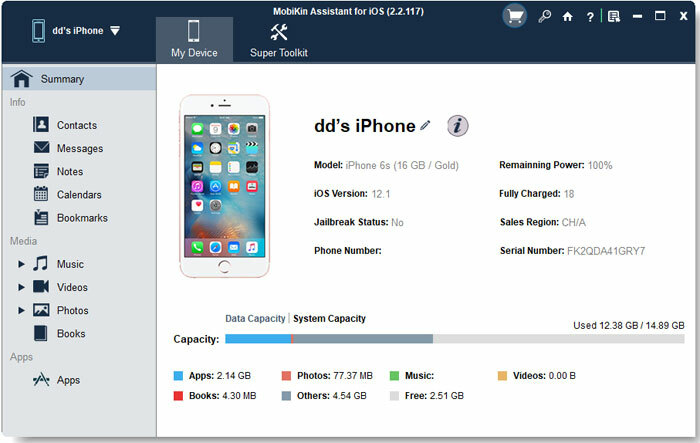 We know that due to the security and copyright consideration, you can't directly access to your iPhone contents directly with a simple USB cable, so if you wish to view iPhone files in a large screen, you need to find a tool to help you get access to the iPhone file system, and then you can view any files you want on the PC or Mac as you like. 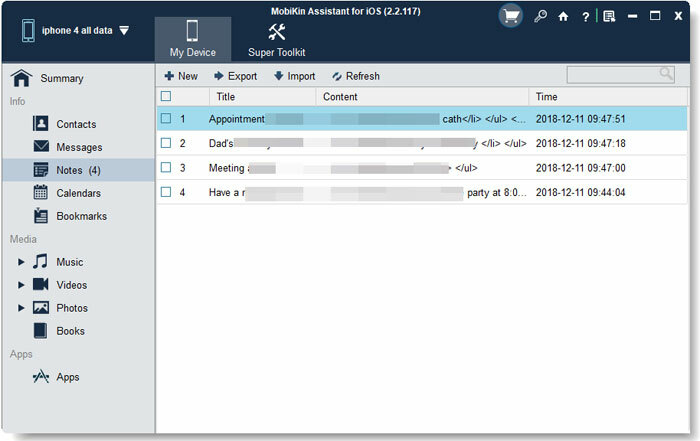 Under this situation, you need a tool called MobiKin Assistant for iOS as your life helper. It could be the best iPhone File Viewer, that allows you to get access to the iPhone contents and view up to 14 types of files on the desktop computer as you like. And if you like, you can export these files from your iPhone to computer for viewing, sharing or editing without restrictions. This could be an unique feature that you can't achieve with iTunes. What's more, the program offers users with two different versions: Windows and Mac. So that you can get the right one and run it on your personal computer. Now, just click the below icon and see how does the program works. How to View iPhone Files on Desktop PC or Mac? Tips: To ensure your iPhone will be successfully recognized by the program, iTunes is required to be installed. If your iTunes can't detect the device, you may need to learn what should do while iTunes not recognizing Apple devices. Step 2. In the left panel, you can choose different file folders and view the files under that folder in the program. Or you can export your needed files like music, movies, books, contacts, notes, etc. to the computer and view them on your PC or Mac as you like.